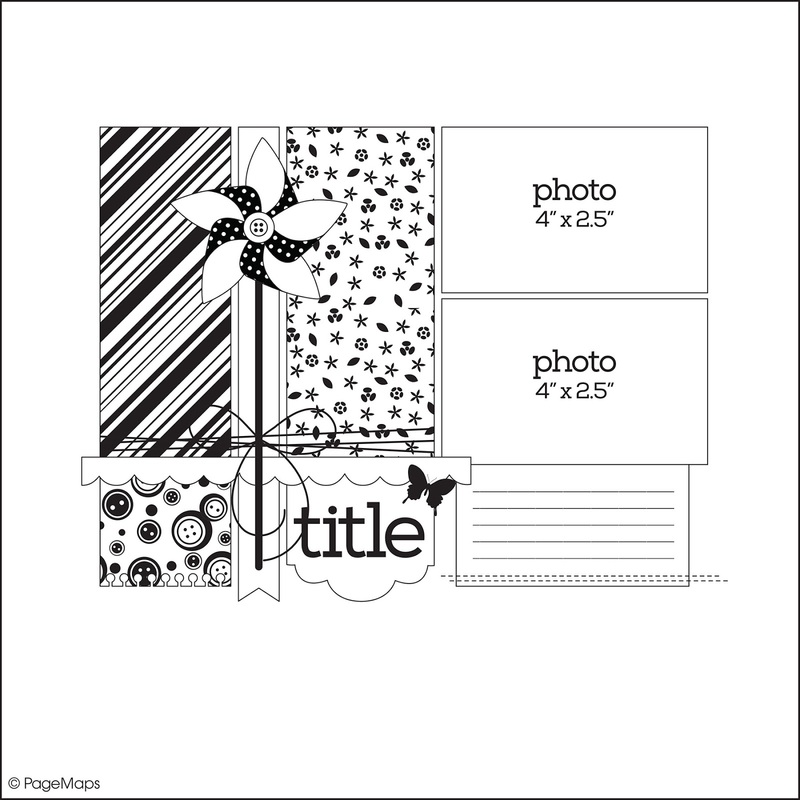 My Cluttered Corner: Scrapbook Circle Blog Hop with Pagemaps! 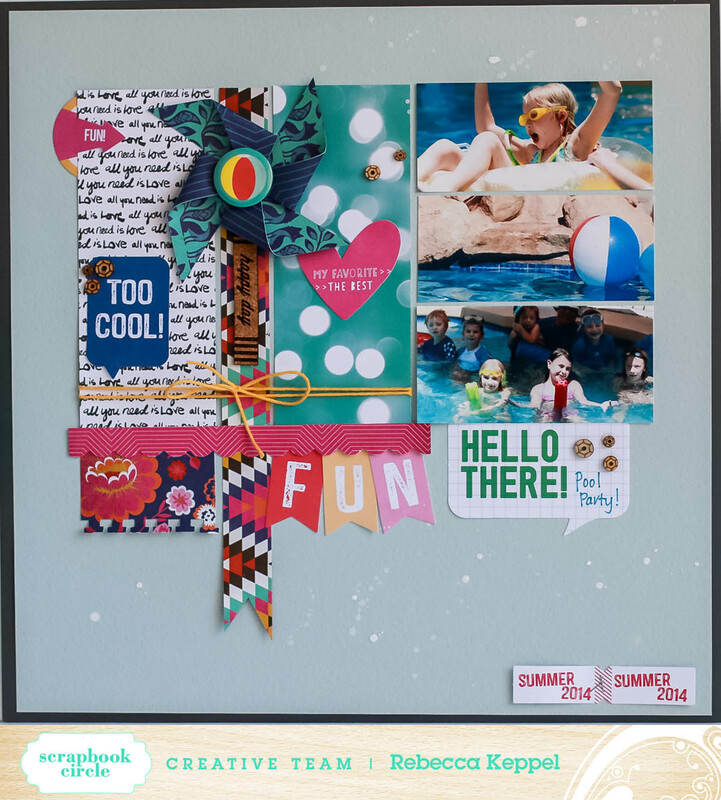 Scrapbook Circle Blog Hop with Pagemaps! Welcome to the Scrapbook Circle Blog Hop! 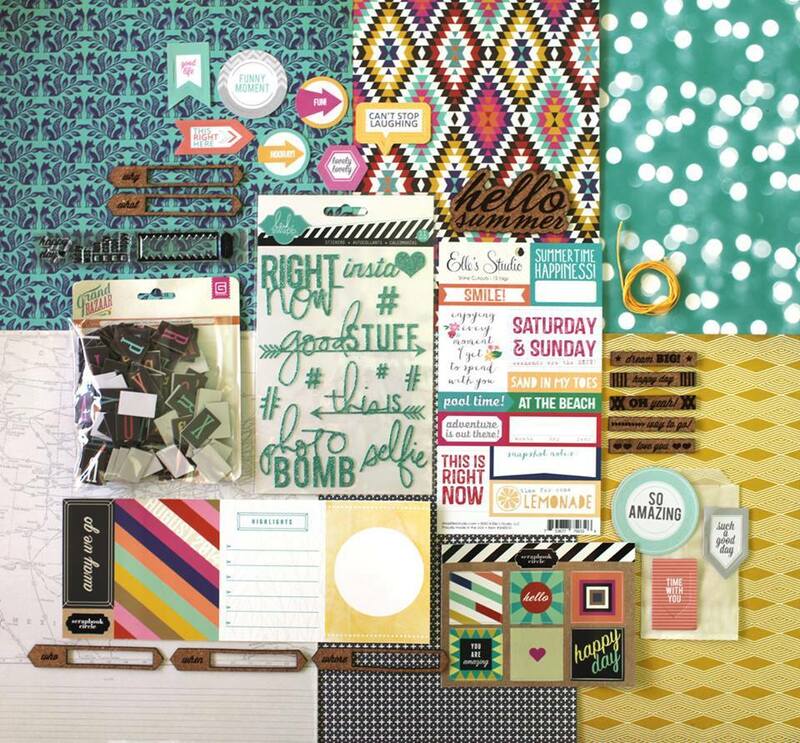 Scrapbook Circle has a new creative team, as well as a fabulous August kit, and we'd like to introduce you to both. You could win one of five August kits by commenting as you hop from blog to blog, meeting faces new and old to Scrapbook Circle. If you just left the lovely so-and-so's blog, you are in the right place. If not, I hope you'll join us for the entire hop by starting at the Scrapbook Circle blog, here. Not only are we introducing a new team and a new kit, we are also worked with Becky Fleck to create this month's issue of PageMaps. Here is the fabulous sketch I got to work with. And here is the layout I created based on the sketch. I used the August Main Kit Island Paradise and the Add On Bungalow. Remember to leave a comment on my blog and all the design team blogs to be eligible to win a kit. The hop ends Monday, August 4th at 9:00 p.m. Pacific so be sure to leave all your comments by then. I also will be doing an individual giveaway on my blog (just some fun goodies I had extras of or thought you all would like). To enter my giveaway, you can follow my blog and leave me a comment saying you followed or were already a follower. Now it is time to hop on over to Jamie's amazing blog to see what she has in store for you! Thanks for stopping by! I am loving this hop!! That sketch and your layout are awesome! Trying this one later too!!!! Loving that sketch and your layout is amazing Rebecca!!! Love the pinwheel! Such a bright and perfectly summery page! LOVE the pinwheel! Great take on the sketch! Loving your pinwheel! Love all the use of color! I am a follower! You rocked the layout, girl! Love it! What a fun layout! I can't wait to get my kit! Adding you to my feedly! my favorite sketch so far. i love your layout! super fun page and love all the bold color!!! great pinwheel!!! I am gonna have to recreate this sketch! I love it! I thought where the pinwheel is would be cute to make as a Christmas present! Guess I'm having Christmas in July... oops August! Great job! I love the size of the photos you used and that you made the pinwheel! Perfect paper for it too...Love it! What a fun layout! 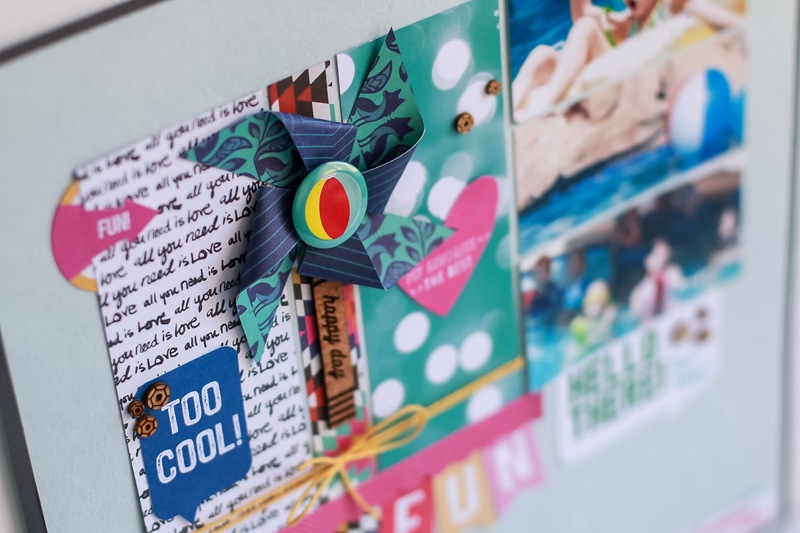 The pictures are great with the vibrant colors and such a cute pinwheel. Oh yes!!! This layout definitely screams summer to me!!!! Love your colors and the way you used the sketch!!! Fun layout and the kit looks fabulous too!! Love the pinwheel, super fun take on the sketch! I love the blocky design with the fun pennants and pinwheel - my kind of page! Now following to see what else you do with the kit! The children are having fun in those photos. Your windmill is cute too. What a fun layout! I love the pinwheel! What a great take on the sketch! I am a follower! Such a super fun page and I love your take on the sketch! So many fun colors, it's totally happy!!! Great layout! And I'm a new follower! Adore your pinwheel! This is super cute, love the sketch you used! You did such an amazing job with this sketch. Awesome! Great layout! Love it against the grey!!! I love this sketch so much and your layout is cool! Awesome page & I love the pinwheel!!! Lemme just say that I LOVE that you've kept the pinwheel from the sketch - SO fun!! The strip of photos on the one side, the grid design + bright colors is just awesome! GORGEOUS page--love the pinwheel and use of color!